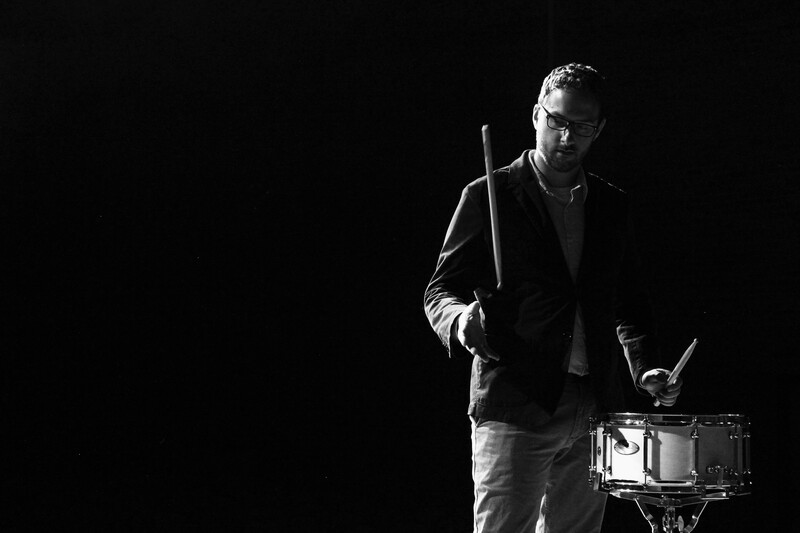 Kallal’s Iowa State adventure started with an unpredictable beat — bouncing around from majors in engineering to biology — before he found his groove in music education. Now with his liberal arts and sciences foundation, he’s composing a music future focused on teaching and creative entrepreneurship. 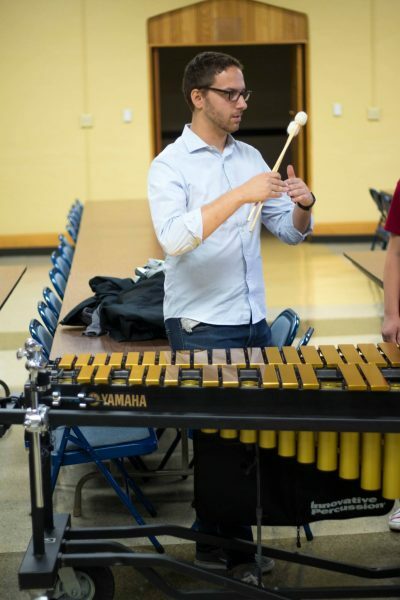 Kallal switched to a music education major shortly after he began working with the Valley High School Marchmasters in West Des Moines. The experience of leading and mentoring the marching band’s percussion unit affirmed his love for both music and education. He taught some of his band students during all four years of their high school career. Adam Kallal. (Photo by Grant Barton). After all his science classes, Kallal will graduate with a music degree and a biology minor. The logical, solution-focused mindset he gained from science serves him well in band, he said. Before he chose an academic path in music, Kallal was already active in ISU music groups. He has spent three years with the Iowa State Drumline and also performed in Iowa State’s Percussion Ensemble and Wind Ensemble. After switching to music education, Kallal learned more about music theory and practical skills like creating an inclusive band room. He also expanded his musical repertoire – he primarily plays percussion, with a focus on marimba. Now he’s required to learn every other instrument, too. “The only things I haven’t learned yet are bassoon and oboe,” he said. Iowa State’s Department of Music and Theatre makes it easy for undergraduates to gain experience, Kallal said. He appreciates the department’s strong support of all its students regardless of whether they are interested in performance, education or other paths. “The professors have a really good relationship with the students here. If you want to get to know a professor or have a mentor, it would be easy to find,” he said. Kallal became a mentor himself during a summer youth outreach internship with Polk County Extension in 2018. He and his fellow intern created lesson plans for K – 8 student summer camps on STEM, healthy living, leadership and civic engagement, communication and the arts. His favorite was a lesson plan about beat and rhythm. Once the kids learned how to create rhythm with syllables, they made their own rhythms. Then Kallal taught them how to make snare drums with cups and pinto beans, wrapping a balloon around the top of the cup. He also led many STEM lessons, which he said gave him a new appreciation for teachers. But as much as he loves Iowa State, Kallal used to spend every weekend December through April driving six hours back home to St. Louis. He wasn’t homesick. Rather, it was a chance for him to practice and perform with Gateway Percussion, a world finalist competitive drumline group. A little road-weary, Kallal and friends wanted Iowa performers to access a competitive group closer to home. So, last year they started a new one. 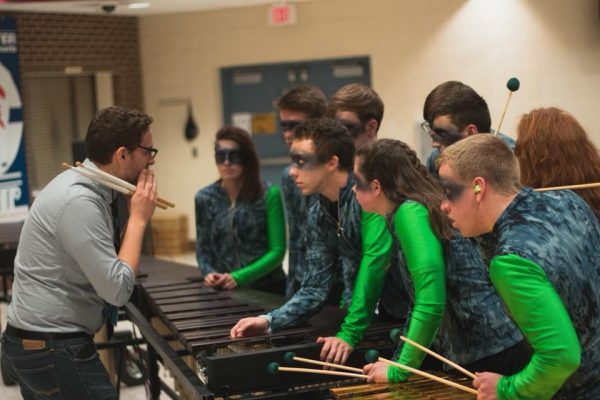 Crossroads Indoor is Iowa’s first nonprofit competitive percussion group, Kallal said. Open to anyone up to age 22, the group rehearses every weekend in winter and spring, ending their season with a national competition in Ohio. In their inaugural 2018 season, they placed 12thin the Percussion Independent A Class Finals of the WGI (Winter Guard International) World Championships. Adam Kallal rehearsing with members of Crossroads Percussion. (Photo by Grant Barton). 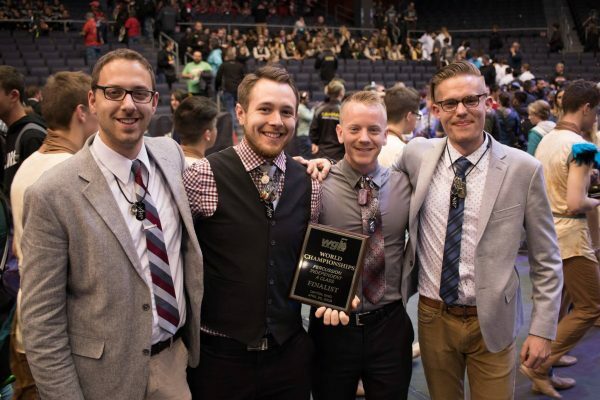 Adam Kallal (left) with fellow members of Crossroads Percussion after their 2018 performance at the WGI (Winter Guard International) World Championships. (Photo by Grant Barton). Their world finalist performance titled “Weathered,” used the power of music to show how Iowans overcome the destruction and grief of natural disasters with rebuilding and hope. Kallal describes the group as his “crazy idea outlet.” But one thing isn’t crazy at all — his decision to chase his passion for music at Iowa State.